Time itself has been off for quite a while now. It started to really leave linear aspects in 2011. Time goes in and out of cycles in either moving too fast or moving too slow. We all know what regular time feels like. When you have been working on something for 15 minutes we know what that seems like. But when we work on something for an hour and we go to look at the clock and it says only 15 minutes have passed this is a time warp. This has nothing to do with whether we are enjoying the activity or not. It can happen the other way too, where time is dragged out. This is happening more and more as we build our light bodies and get closer to the higher dimensions. Remember there is NO time in the higher dimensions, so this only makes sense we would feel it as we make the transition. I will briefly give an overview of how to check the energy information for yourself. For flares just look at the section that says XRAY solar flares and look at the the “more data” section. A flare is not that relevant unless it is a M or X flare. There are always lower class flares ( B or C) going on and that is nothing special. For geomagnetic storms (disturbance in the magnetic field around the earth) check the section that says Planetary K index and click “more data” If it says storm that means there is unsettled weather in progress. When you click the link you will see a graph with lines of different colors. 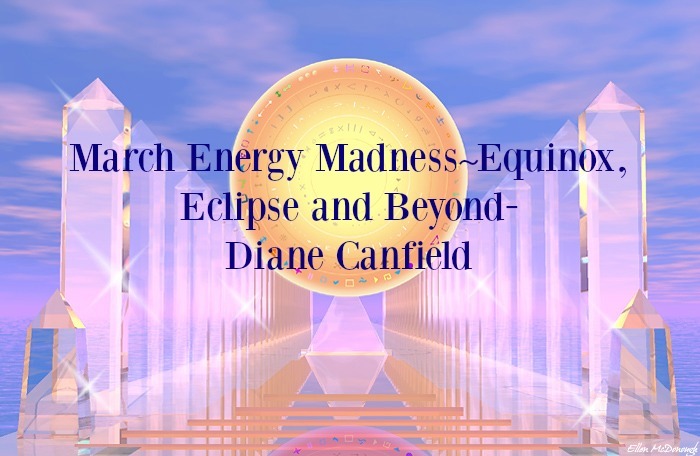 Copyright © 2016 by Diane Canfield. All Rights Reserved. You may copy and redistribute this material as long the full article itself is included.